Twin lands, ideally divided by the Tanaro, the Langa and Roero are children of the same mother: the Langhe, the most fertile area in the province of Cuneo. The first (the Langa) is in the south and its landscape is dominated by gentle slopes, characterised by rows of vineyards that produce the most famous wines in the world, while the second (the Roero) is in the north, characterised not only by hills, but also by almost “karstic” rock and striking rocky walls. Known also for the production of the renowned Piedmont hazelnuts, the Langhe have been distinguished for decades for the production of fine wine. Their terroir is in fact especially fertile and is made of a combination of calcareous clay (which produces the most full-bodied wines in the Langa), soft and sandy soil (which gives us the fruity whites of the Roero) and a fresh air that benefits from the influence of both the sea and the Alps. This is a land that has to be discovered, as well as tasted. “Everything here revolves around wine” is the description more delightful and well-suited than ever that Mario Soldati gave us about the Langhe in his 1977 essay, “Vino al vino”. Why does everything here live and prosper due to grapes? The answer is found in the terroir, a French word that identifies all the factors (environment, growing techniques, and protection of its designation of origin) which provides an understanding of the relationship between the plant and its environment. In the Langhe, the relationship is found as one of the most preferred in the world. The valleys (which contribute to the creation of diverse and ideal microclimates), range of temperature (which increases the concentration of aromas in the skins), soil composition (which began to form sixteen million years ago), and the alternation of clayey, calcareous and sandy substrates give life to an extraordinary variety of grapes for wine. 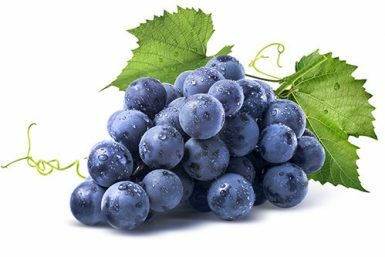 Thus, depending on the areas that are just a few kilometres away from each other, we find grapes for Barbera, Dolcetto, Pelaverga, Arneis, Favorita, Freisa and Moscato, all typical of the Langa. The Roero mainly gives us Nebbiolo, Barbera, Arneis, Favorita and Brachetto, with undertones that differ from wines of the Langa. The wines of the Langhe now satisfy the tastes of an international market and make this area known and appreciated all over the world. Just a short walk from Relais dei Poderi you can find Dogliani, a village full of character, traditions and places to visit. Its unique architecture was influenced by the work of Giovanni Battista Schellino, a self-taught architect (1818-1905), who in the nineteenth century wanted to give the city a monumental appearance. Thus, from the fourteenth century gateways (which open up to a landscape of medieval features such as Piazza Carlo Alberto, and Baroque features such as the church of the Confraternity), to the upper village with its own (typically medieval) castle, to the Belvedere (with its breathtaking scenery) and Torre Civica clock tower (“crenellated” by Schellino in the nineteenth century), neoclassical cupolas and neo-gothic spires can be admired, which give the village a unique appearance that must be seen. While discovering the surrounding area through organised walking, bicycle or horseback riding trips, one can admire the churches and parishes nestled in the rows: places that have always evoked peace and mysticism. The vineyards of Dogliani, which are impossible to miss, are famous for the excellent and fine production of Dolcetto, a true crown jewel of wine producers in the area, including Poderi Einaudi. Moreover, Dogliani is at the centre of a crossroads that lead to Turin, the Marquisate of Saluzzo, the Ligurian Sea and the French Riviera: a starting point from which one can explore places so diverse and exciting that they seem farther than they really are.